Why not minimalism for sample analysis? 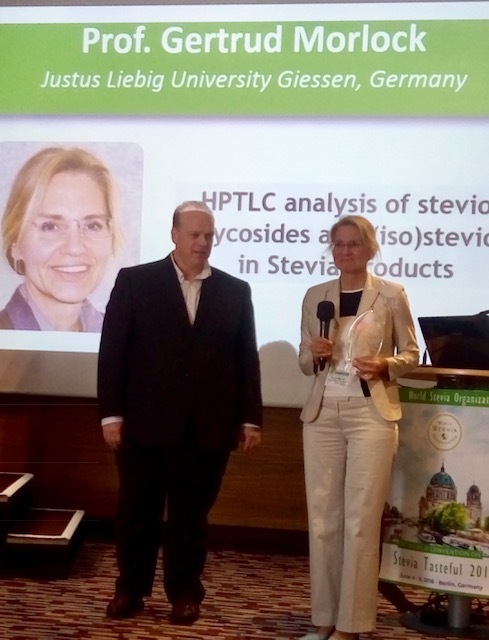 According to Prof. Morlock: "For different sample matrices, a robust HPTLC method was developed that separated in the same chromatographic run important steviol glycosides and their breakdown products steviol and isosteviol. HPTLC-MS spectra were recorded from the zones of interest. Separating 23 samples in parallel, the calculated analysis time was 2.6 min/sample and the solvent consumption 0.4 mL/sample. The HPTLC method was shown to support quality control and was proven to detect falsified samples or challenging samples like candies or syrup that were rich in sugars and sugar alcohols." 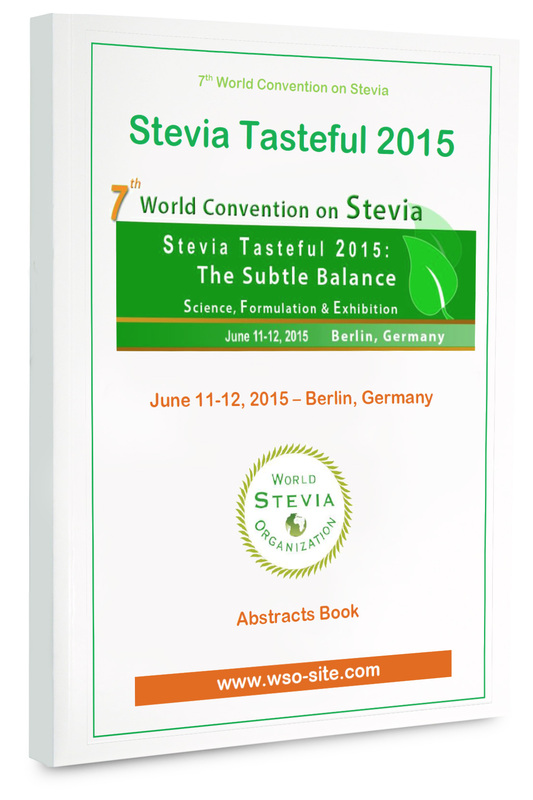 Prof. Morlock commented: "The WSO convention is a perfect opportunity to profit from the leading experts in the growing field of natural sweeteners, to taste latest products and to learn how to improve our health. Nature offers great options to sweeten food - it makes us curious to learn." 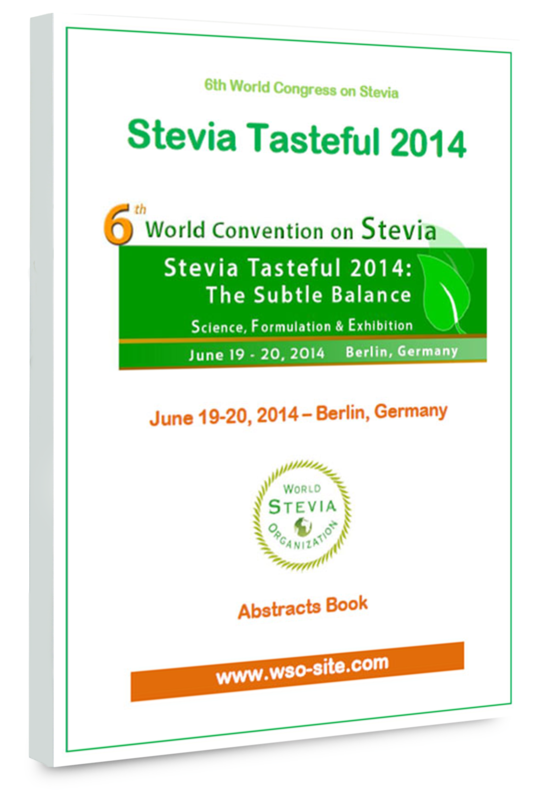 The World Stevia Organization congratulates Prof. Gertrud Morlock for the first place of "Father of Stevia Award 2018.